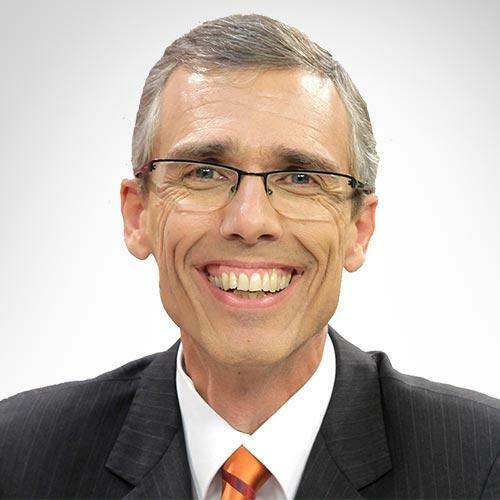 Pastor Marcos Faiock Bomfim has served as director of Stewardship Ministries of the General Conference of Seventh-day Adventists since his election on October 11, 2015, at the world church’s year-end meetings held in Silver Spring, Maryland, United States. In July 2015, at the General Conference Session in San Antonio, Texas, United States, Pastor Bomfim was elected to serve as Stewardship and Family Ministries director for the South American Division (SAD). He previously served for five years in various positions in the same division, including associate secretary for Ministerial, and director of Family Life and Health Ministries. Born in a pastoral home, Pastor Bomfim began his ministry as a pastor in Brazil and served for nine years as a district pastor in Sao Paulo, Brazil. He also served as Stewardship Ministries director for the South Brazil Union for five years, following 11 years as Stewardship Ministries director in two conferences in that same union. Pastor Bomfim was the speaker of a nation-wide daily radio program (Novo Tempo em Família [New Time in Family]) for 10 years and was the host of the Lar e Família (Home and Family) program, a 30-minute TV program that airs weekly at SAD Hope Channel (Novo Tempo/Nuevo Tiempo), located in Brazil for the past two years. Beyond his pastoral ministry, his other great passion is his family. He is married to Mariluz da Silva Bomfim, an educator and family therapist. Together, they are blessed with two daughters: Luana and Alana, both nurses, who are the sixth generation of Adventists in their family. Educational training: Bachelor in Theology, M.A. in Pastoral Theology, DMin Candidate and specializations in Family Therapy. Languages: Portuguese, English, and Spanish. Hobbies: Reading; writing; gardening; music; sports (running, soccer, basketball, skateboarding, kayaking); and preaching through social media.